Sooner or later the child should learn to eat the solid foods. It takes time to get used to it after the breastfeeding period. As soon as the baby starts getting nutrients but from additional sources (not from breast milk only), a new phase in the life of a growing baby begins. This phase is called weaning. Introduce it slowly, by degrees, to avoid stress. The parents are usually concerned over the right time to start weaning. In accordance with figures published by American Academy of Pediatrics, exclusive breastfeeding is recommended for half a year. Only then a mother can start introducing solids to her baby’s menu. A little baby needs the protective properties of breastmilk for healthy development. It is important for any baby but can be even crucial when the baby is premature, as breast milk provides natural protection. Breastfeeding remains important even when you add other foods to nutrition. It is advised to give solids to the baby along with breastmilk. You can go on like this until the toddler turns two. The benefits of breastfeeding are indisputable but as the child grows, more nutrients are required for physical development that can be taken from usual foods. With that being said, I don’t mean that breast milk loses its value when a child becomes older. Not even close. Breast milk remains extremely valuable along the full period of breastfeeding. Thus, it is still important for a mother and her baby to continue this phase for as long as they desire to. Breast milk contains antibodies protecting the baby. Their amount determines the frequency of breastfeeding. With fats, protein, calcium obtained from other sources, the babies do not need any cow’s milk. 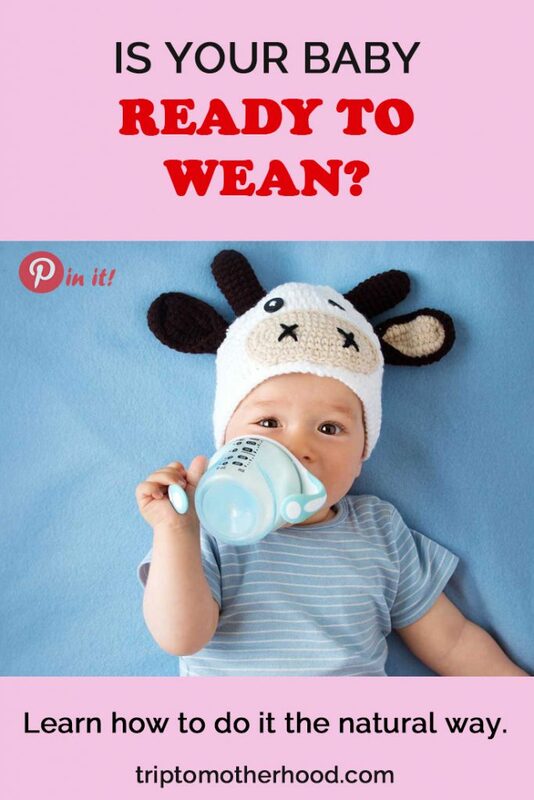 The issue of weaning is solved individually. Every baby is unique, so there are no special recommendations that will suit each mom with the same success. Some babies are ready to wean naturally around 9-12 months, others feel right to do it not earlier than at the age of 3 or 4. This should be considered. Always watch your child and see what he or she needs. Weaning is a transition from one stage to another. It does not refer to the change in the menu only. It entails more profound changes. The relationship changes. Yet, weaning doesn’t, by all means, refer to the loss of connection. Right on the contraty. It only means that the relationships between a momma and a baby will take the new turn of development. Long ago, the original meaning of the word ‘to wean’ meant ‘to ripen’. The word was perceived positively before as the baby acquired different status. It was a transition to the next stage of maturity, a more independent one. However, it does not mean that everything becomes easier with the arrival of the weaning stage. A small baby still needs a lot of attention from a mom around the clock. Previously, breastfeeding used to satisfy the need of the baby to communicate with the momma. From this moment on, a mother changes her behavioral pattern. She seems more distant than ever and the baby feels that, so the reactions may follow. For example, it was not difficult to put the baby to sleep before when breastfeeding was in the picture. However, there can be problems with it now. If you don’t want to hit the undesirable consequences of abrupt weaning, my advice is to do it as softly as possible. Many mothers want to breastfeed their babies further to give the opportunity to their babies to refuse from nursing naturally. This also helps the baby to transition from one stage to another with no stress. The baby eats usual food and its portion gradually increases in the menu. There are no abrupt changes in the life of the baby and this tells favorably upon the whole weaning process.